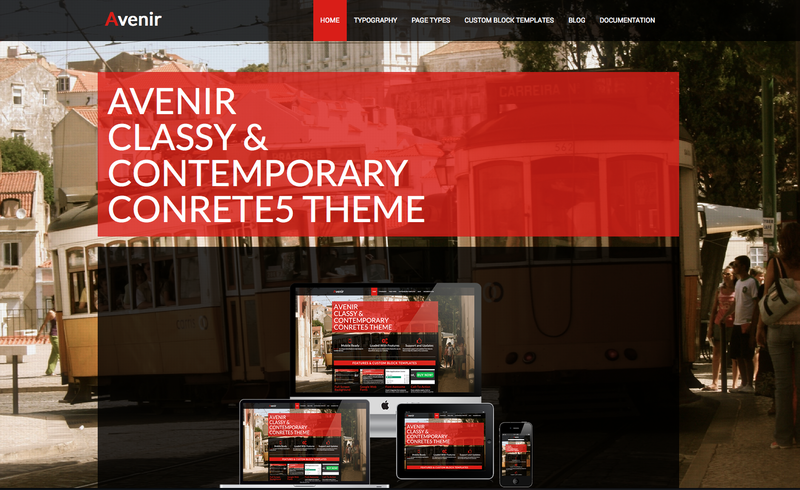 Avenir is sleek, contemporary and artistic concrete5 theme. 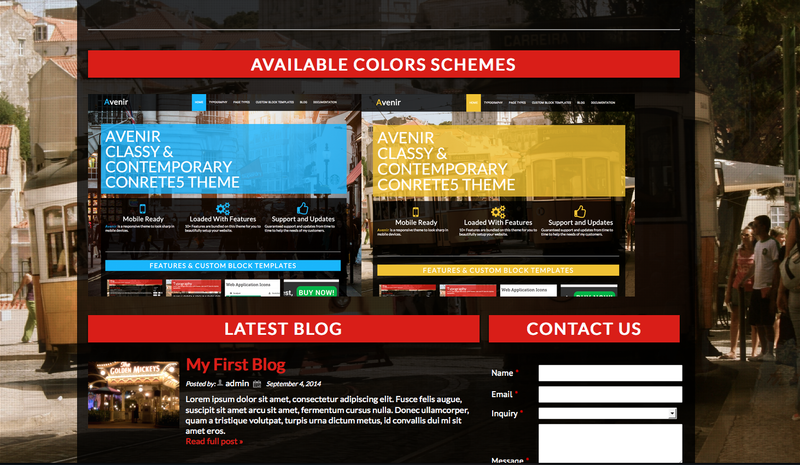 With full screen background It is good for portfolio, restaurant, artist, architecture, technology and blog. It is responsive so you don't have to worry about your website to look awful in mobile devices. 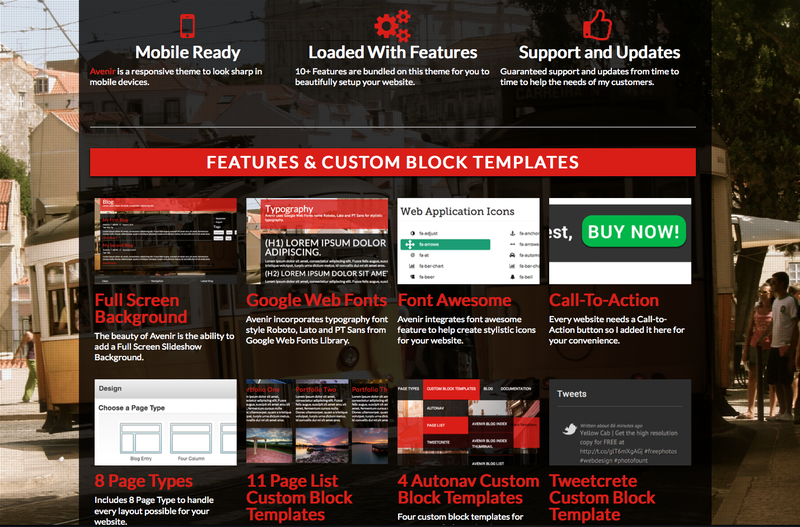 Also, it comes with custom block templates for commonly used blocks, other features listed below and customizable color elements straight from your dashboard. 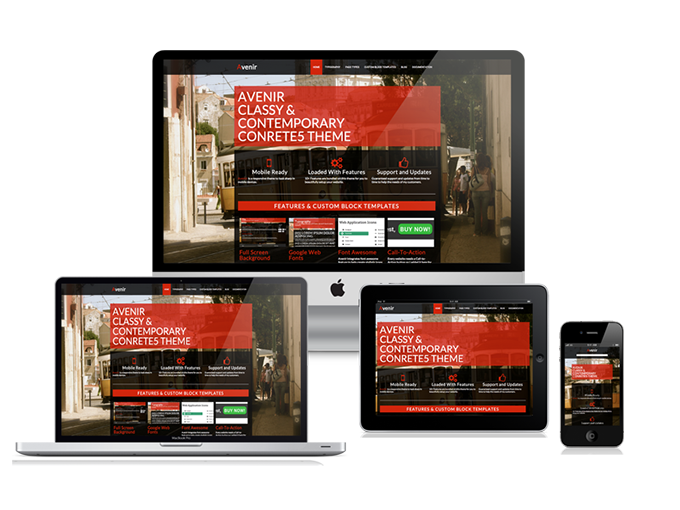 Avenir is compatible with Concrete5 version 5.5.1 up.